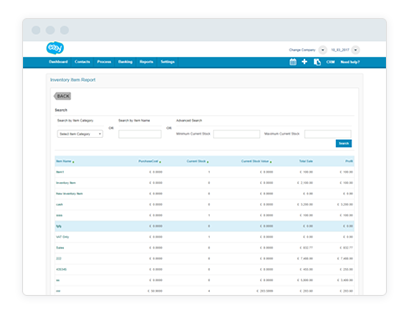 Your inventory is continuously updated on your balance sheet to track real time value of your stock item. 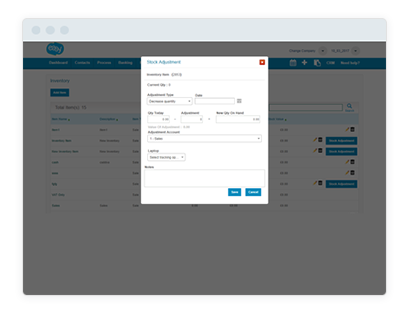 Inventory items speed up the process of creating invoices as all default values are predefined. 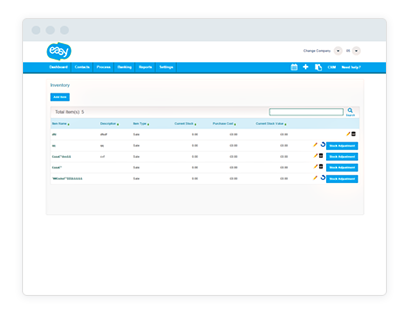 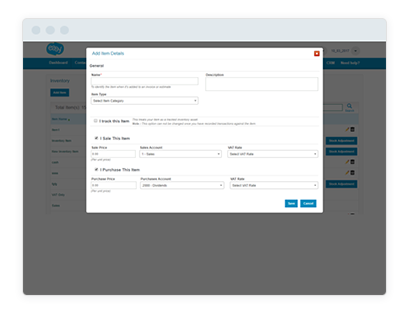 Set up tracked inventory items to reduce data entry and typos – and see how much stock is on hand when you’re quoting and invoicing.